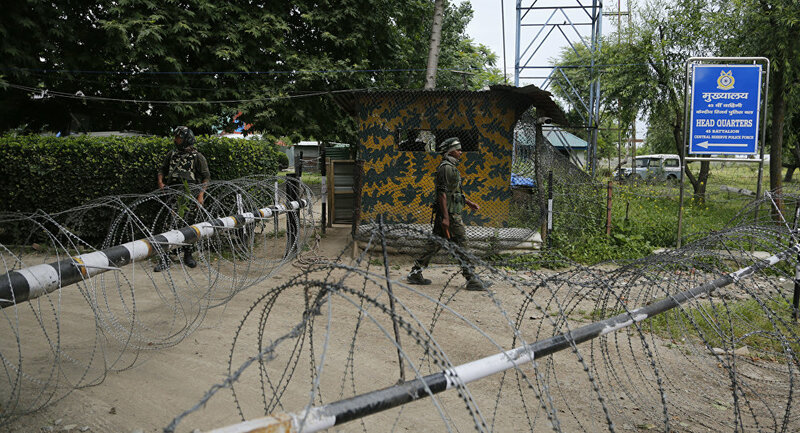 The statement comes a few days after Indian and Pakistani troops reportedly once again exchanged fire along the Line of Control in the Rajouri district of the northernmost Indian state of Jammu and Kashmir. Indian Defence Minister Nirmala Sitharaman has rejected Islamabad’s claims that India plans to launch a new attack against Pakistan before the end of April. “I don't know where he (the Pakistani Foreign Minister) got this date, so good luck to him. God knows whatever it is, but it sounded very fanciful for me and amusing,” Sitharaman told the Indian news agency ANI. She commented on a previous statement made by Pakistan’s Foreign Minister Shah Mehmood Qureshi that the Pakistani government had “reliable intelligence that India is devising a new plan” to attack its western neighbour between 16 and 20 April. “A new mishap could be staged…And its purpose will be to justify their (India's) offensive against Pakistan and to increase diplomatic pressure against Islamabad,” Qureshi claimed. He warned that “if it happens”, it will have “an impact on the peace and stability of the region”. Meanwhile, the Pakistani military’s spokesperson Major General Asif Ghafoor mocked the Indian Air Force Chief's claim that India has superior technology that had allegedly led to success in the Balakot strike in February, tweeting that “Allah is on Pakistan’s side”. — Asif Ghafoor (@peaceforchange) 15 апреля 2019 г. His remarks came after Indian Air Chief Marshal B. S. Dhanoa said that “in the Balakot operation, we had technology on our side, and we could launch precision stand of weapons with great accuracy”. This comes amid ongoing tensions between India and Pakistan over alleged terrorist camps within Pakistani, which New Delhi insists house the militants responsible for the 14 February car-bomb attack in Pulwama, which killed over 40 Indian police officers in Kashmir. Islamabad denies the existence of any terrorist camps on Pakistani soil. India has accused Pakistan of doing little to stop the operations of terrorists located within the country. The India Air Force struck what it described as a Jaish-e-Mohammad terrorist training camp in Pakistan's Balakot area on 26 February. This prompted a retaliation by Pakistan; Pakistani F-16 warplanes struck Indian military targets in the Indian-controlled part of Kashmir and were repelled by Indian warplanes in a dogfight. The 27 February air battle exacerbated New Delhi-Islamabad tensions, resulting in multiple cross-border exchanges of fire and several Pakistani drones allegedly violating Indian airspace. In the latest development, a "heavy exchange of mortar and small arms firing took place in the Nowshera sector of the Rajouri district of Kasmir”, according to Indian government officials.